Wm. Britains is a long-time and storied name in toy soldiers. I had a small collection of Britains as a kid growing up in southeastern Ohio. The name has stood for quality for many decades. The firm has produced thousands of poses in a wide variety of genres over the years. 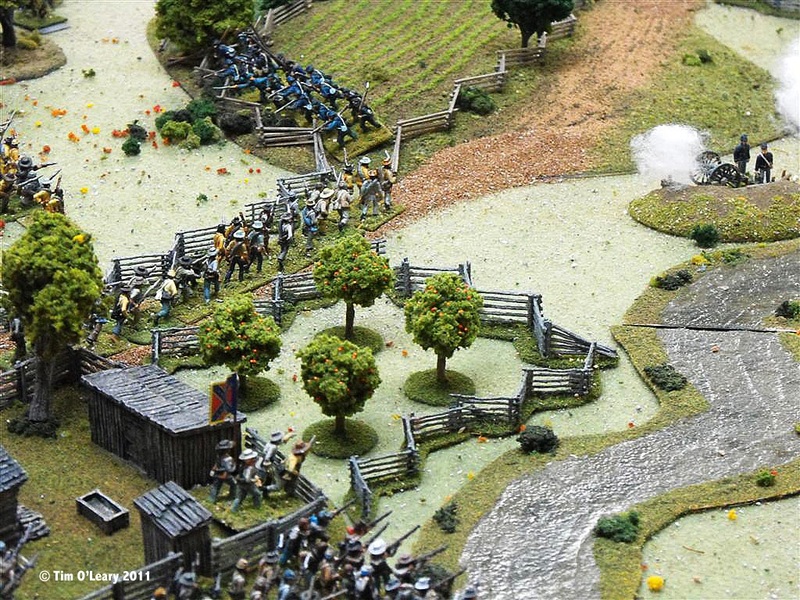 The company as sales promotion has provided small dioramas to several sales retail outlets such as Visitors Centers at selected battlefields, including the Manassas National Battlefield in Virginia. Click on the photo to enlarge it for easier viewing. With the arrival of the 4th Confederate brigade commanded by General Janci, against the Federal left flank, even more pressure is applied. Union soldiers are rushing to take position behind the emplacements which will provide good cover from the fire of the Rebels. My father was a soldier in Europe in the American Army Air Corps during World War II. I remember his disdain for a female radio propagandist known widely to GIs and airmen alike as “Axis Sally.” Little did my Dad know that years after the war he would live less than an hour from the infamous sultry-voiced Nazi collaborator. Mildred Gillars was born and raised in Portland, Maine, but moved to Conneaut, Ohio, when she was 16 years old. She briefly attended Ohio Wesleyan College before dropping out and moving to Grennwich Village in New York City. She later moved to Europe and lived and studied in various countries. She finally landed in Germany and took a job in radio. Her lover, a professed Nazi (married to someone else), scripted her broadcasts, which increasingly became propaganda tools of the Third Reich. Gillars often tormented Allied listeners, particularly her fellow Americans, with descriptions of the deaths they faced if they attacked and taunted them with stories that their sweethearts back home were unfaithful. Gillars later served time in U.S. prison for treason. She lived a relatively quiet life in Columbus, Ohio, including working in a convent. 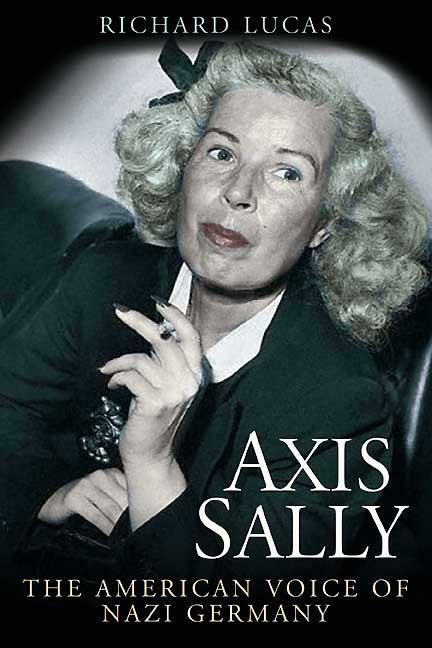 Author Richard Lewis has penned a new biography of the notorious voice in the European night entitled Axis Sally: The American Voice of Nazi Germany. 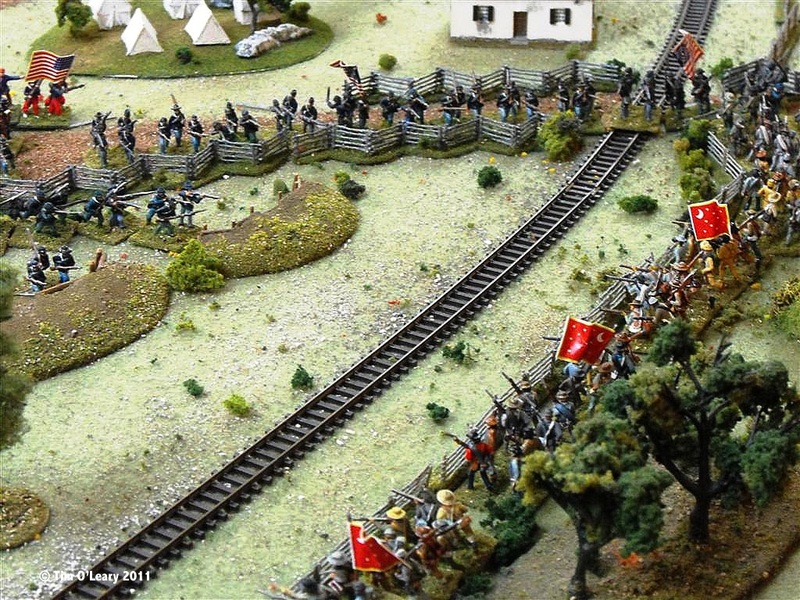 A regiment and section of rifled artillery of General Brust’s stretched Union brigade tries to stop the advance of elements of two brigades of Confederates. Minutes later the column of Reb infantry will retreat due to the accurate fire of the Yankee cannons. I wandered around the main gaming hall of the Valley Forge, PA. Convention Center on Saturday night of the annual Historicon miniature wargaming convention sponsored by HMGS (Historical Miniature Gaming Society). I took a few photos of some of the theme games (American Civil War). 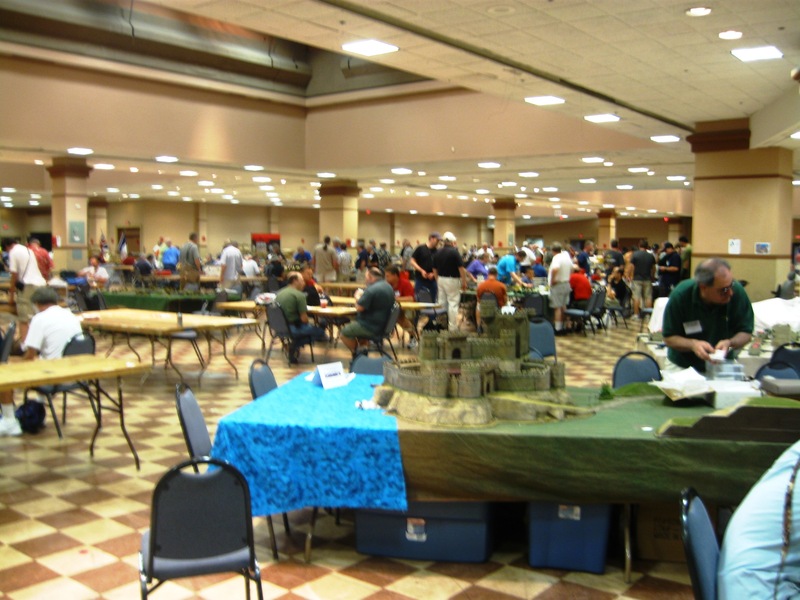 The convention appeared crowded, with most tables filled with impressive looking wargames in progress. Crowds seemed thick, and most looked like they were having a good time on this the final night of gaming action for this year’s Historicon. At Historicon 2011 in Valley Forge, PA, long-time Virginia-based wargamer Grant Daniels and his father, Curt, presented an impressive wargame of the August 1862 Battle of Chantilly (or Ox Hill). 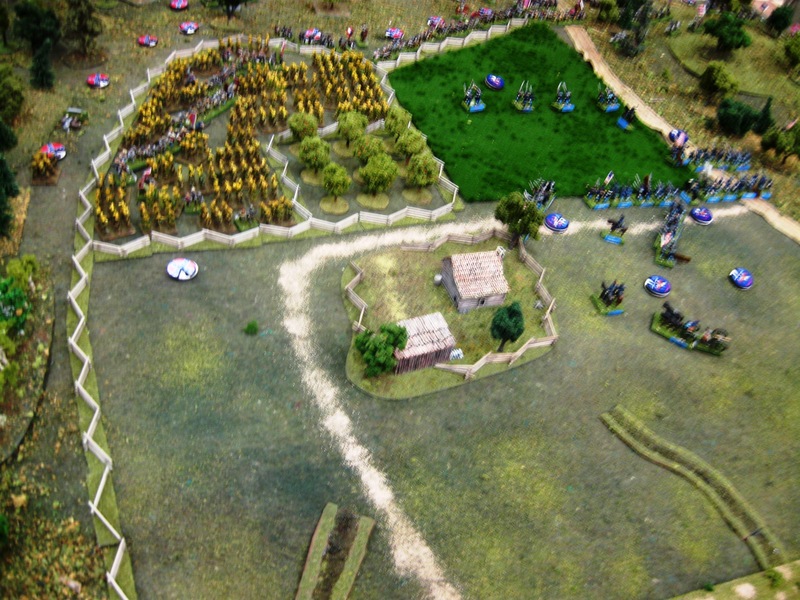 This 15mm game used the popular Johnny Reb 3 rules system by John Hill. Nine players, and numerous kibbitzers including yours truly, gathered for an evening of social entertainment and conversation around the gaming table. Historicon 2011 is now underway at the Valley Forge Convention Center in southeastern Pennsylvania. 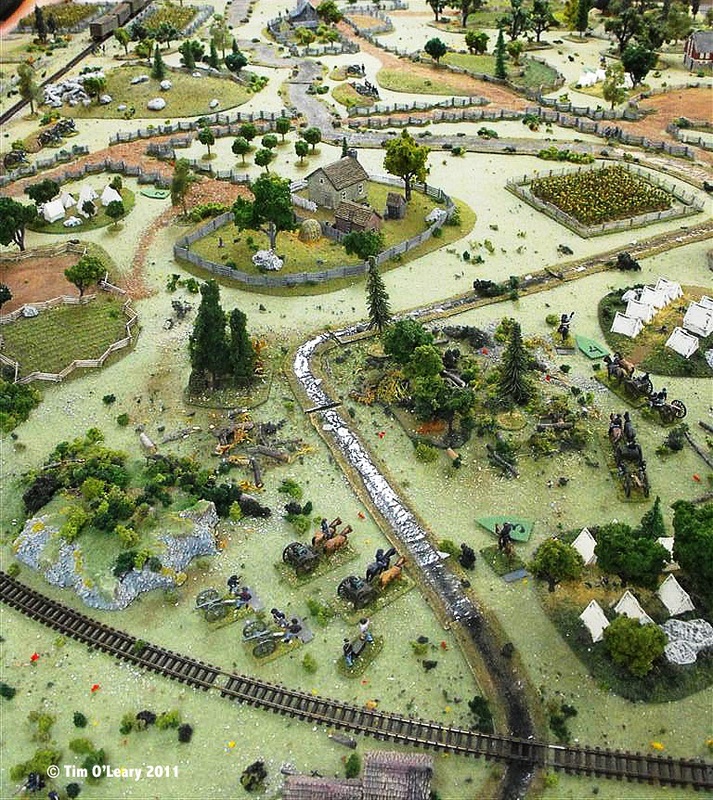 This is the second consecutive year that the year’s largest historical miniature wargaming convention has been held at Valley Forge; it’s only a short drive to the campsite where George Washington’s Continental Army spent a winter during the American Revolution. This year’s theme, coinciding with the 150th Anniversary of the American Civil War, was of course Civil War-related games. Dozens of gamemasters on opening day, Thursday, July 7, presented infantry games and there were a handful of ACW naval or riverine games on the docket as well. Here are a few random photographs from Day 1 events at Historicon. Chicago-area businessman and talented graphic designer Ivor Janci is a long-time friend of mine who has collaborated with me on four popular (and sold out) scenario books for Gettysburg and Antietam. 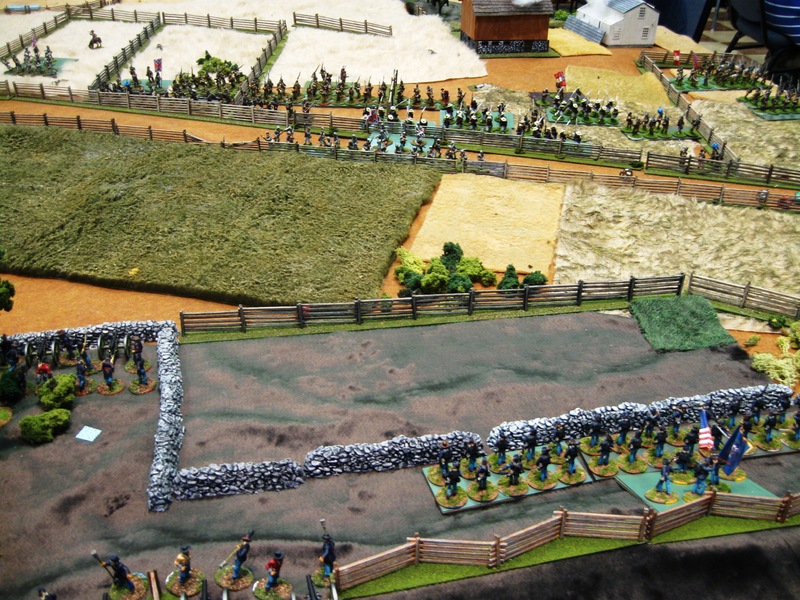 He recently ran a wargame using Larry Reber’s EZ-play Gettysburg Soldiers rules system. Gamer Tim O’Leary took a series of photographs of the game, which he and Ivor graciously gave me permission to reproduce on the Johnny Reb Gaming Society’s Charge! blog. The above photograph shows an overall view of the 8′ x 6′ table with the Union initial positions denoted by the camps with tents. 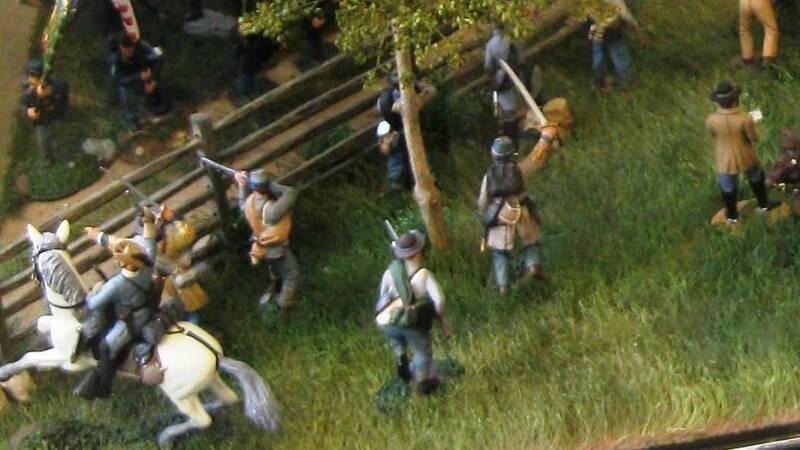 Three of the four Confederate brigades will be coming onto the table at the far end (the south end). Each of the 4 camps represents one brigade of Yankees going about their morning chores. Barely perceptible in the distance are emplacements with Union cannon facing east where the Union command thought that the Rebels would have attacked. The battle is on!